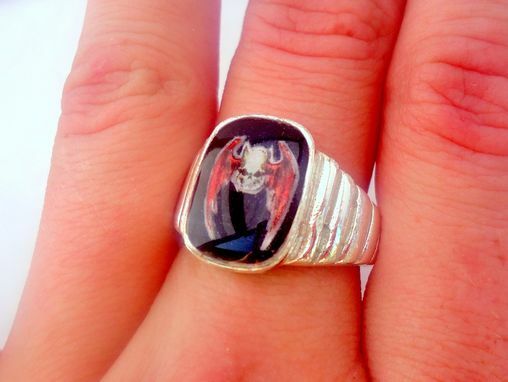 Have a ring made with any image! 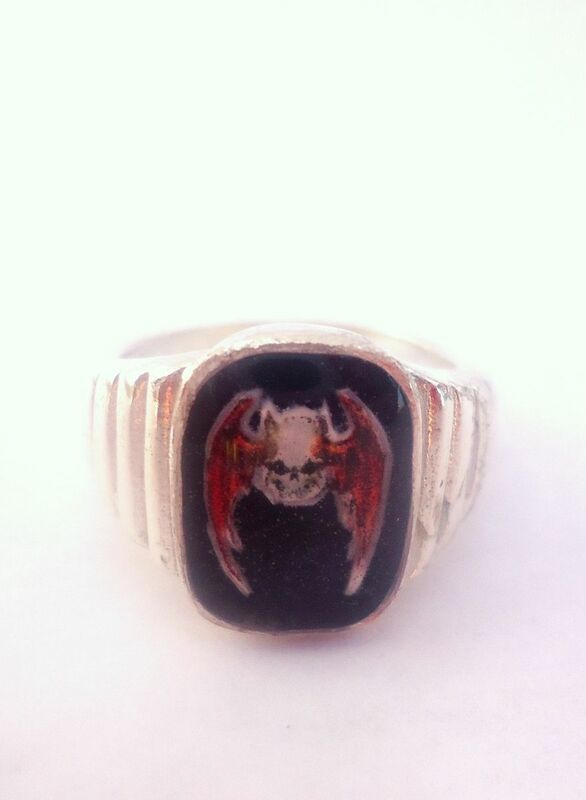 This client wanted to have a ring made from the image of a skull with wings, but didn't want the background of the image to be included. 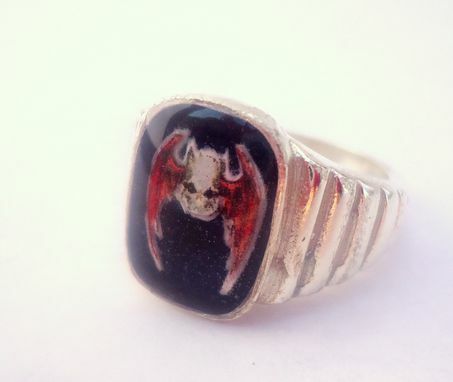 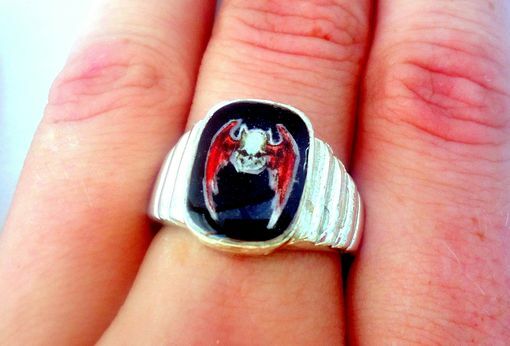 I used a pre made sterling silver ring mounting to hold the image, and used resin to seal it forever.